We wanted to say how proud we are, to be a part of this anesthesia group. Everyone’s generosity has blown us away. We raised $825 and were able to purchase all items requested by Angel’s Place. This effort was organized by the two Chief CRNA’s at East Jefferson General Hospital. Contributions were made by the CRNA’s and MD’s at EJGH. 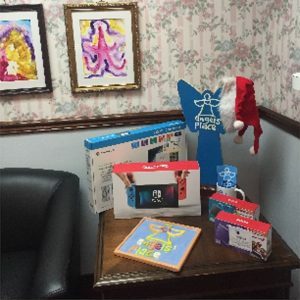 Attached is a picture of the gifts that were donated (the woman insisted that I include the children’s artwork in the picture ). Thank you all again for your generosity and participation!